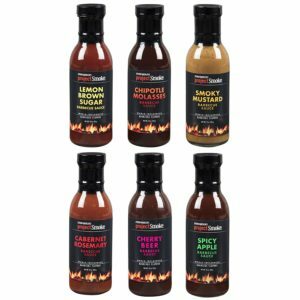 Sauce up your barbecue style with 3 of the NEW BBQ sauces from Steven Raichlen! Cabernet Rosemary Barbecue Sauce: Inspired by California’s wine country, this cabernet-infused blend contrasts the fruit-forward flavor of red wine with the fragrance of rosemary. Perfect for steak, pork and sliced grilled beef tenderloin. 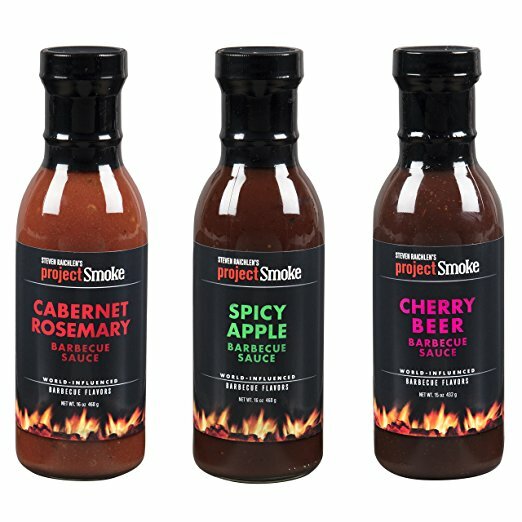 Spicy Apple Barbecue Sauce: A sweet aromatic blend of fruit, spice and smoke flavors that bring fresh orchard flavors to your grill. Serve with pork and chicken, but don’t forget salmon and ribs. Cherry Beer Barbecue Sauce: Paying homage to the craft brewers of Belgium, this beer-based sauce balances the sweet, tart notes of cherry with the pungent tang of hops. 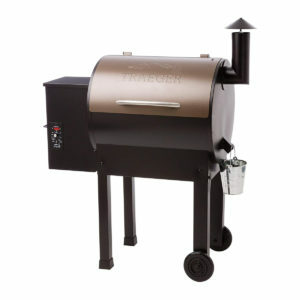 Brush on rotisserie or grilled chicken or game and serve with your favorite microbrew. 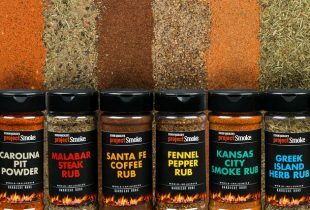 6-pack of ALL Project Smoke Barbecue Sauces!